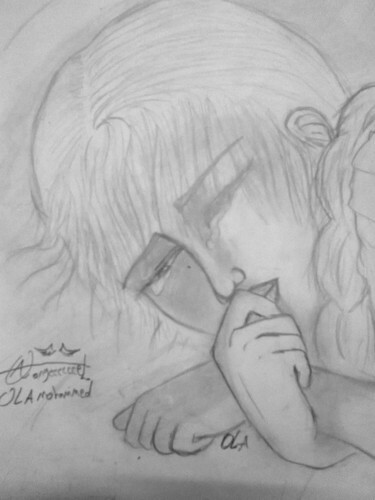 what do Du think about my drawing??? write to me acomment plz ^_^. . HD Wallpaper and background images in the Anime Drawing club tagged: angeeeeeeel girls drawing manga fanart chibi anime. This Anime Drawing photo might contain rotkohl. So much emotion, I love it!